Are we mistaking awareness for change? 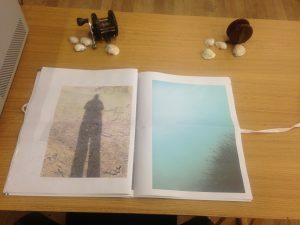 At the beginning of this month I was at the Tate Exchange with Anahita Harding. We created an interactive installation entitled We interrupt our disappearance, as part of Shape Art’s the Ghosts in The Machine. Our work examined issues to do with absence, presence, deafness, and disability. Anahita and I first met while working together on NDACA (National Disability Arts Collection and Archive) and share an interest in deaf and disabled people’s history and politics. We both believe that there is still so much that still needs to change. The artwork I created was inspired by deaf history and the story of Martha’s Vineyard. In the mid-nineteenth century, Martha’s Vineyard, an island in Massachusetts, had such an incidence of hereditary deafness that in one town on the island (Squibnocket in Chilmark), 1 in 4 people were deaf and, in response, the whole community learned to sign. Nora Groce documents how the community of Chilmark responded to deafness in her book Everyone here spoke sign language: Hereditary deafness on Martha’s Vineyard. Within We interrupt our disappearance I reflected on this research and my own experience of deafness, particularly the isolation. To explain my own experience of deafness: I was born with no hearing in my right ear, but was able to hear reasonably well, and it was not until I experienced a sudden severe loss in my left ear that I understood the isolation and barriers faced by many deaf people. I attended a mainstream school and so was never offered the chance to learn BSL at school. However, I wonder if I had been taught BSL at an earlier age would my later experience of hearing loss have been quite so isolating and frightening. In October last year I volunteered with The History of Place on a film about the history of St Saviours, Deaf Church in Acton. 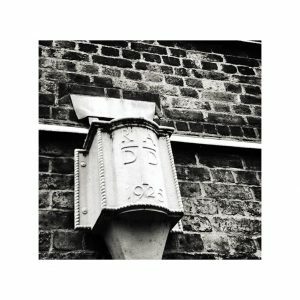 (You can find out more about St Saviours at the V&A exhibition ‘Without Walls: Disability and Innovation in Building Design’, part of a series of events and exhibitions created by The History of Place.) 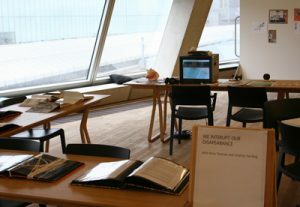 This gave me the opportunity to explore deaf history and to begin to make sense of my own feelings about deafness, in collaboration with other deaf people. During the week’s filming I described the feeling of being in-between two worlds, on the one hand not being part of the ‘Deaf community’ because I don’t sign well enough and, on the other, feeling excluded amongst hearing people because I can’t hear well enough to always follow spoken English. I started to imagine how I might feel about my deafness if everyone used sign language or if as a society we better accommodated the needs of deaf people the way those on Martha’s Vineyard did in the nineteenth-century. Recently, The Silent Child won the Academy Award for Best Short Film (Live Action), a film about a deaf child isolated from her family and deprived of language and communication until she is introduced to BSL. I saw the film at the BFI as part of an evening d/Deaf films for the London Short Film Festival and was excited to see it getting the recognition it deserved. However, I was also concerned that the euphoria we all felt about the win could distract from the important issues the film had made. People were telling me “this will increase deaf awareness” but, I thought, “what does deaf awareness mean? And how does it help deaf people?” I worry that people mistake awareness for change. The challenges facing d/Deaf people right now are very complex and the changes needed are serious and important. A perfect example of how awareness itself does not equal change was recently demonstrated in parliament the Monday after The Silent Child won, when a campaign to get BSL taught as a GCSE in schools was blocked. This situation is reminiscent of the Milan Conference of 1880, where it was decided that education for the deaf should follow a policy of oralism instead of sign language – a decision made without consulting deaf people, and with a devasting impact on deaf people and deaf culture. Similarly, the recent parliamentary decision prolongs the oppression deaf people have faced over the centuries in their attempts to have their voices heard and valued. similar situations myself with friends and family and it is the most heart-breaking aspect of deafness – the way it cuts you off from those you wish to be close to, as Charlie points out, “simply for lack of language”. 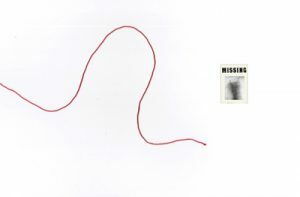 When we lose the ability to communicate easily with each other we often become isolated and withdrawn and, as I put it in my recent art project, “we go missing”. I have felt the isolation that deafness can bring, and I believe it’s important to reflect on why deaf people are twice as likely to experience mental health problems than their hearing peers. In her Oscar acceptance speech, the writer of the film’s screenplay, Rachel Shenton, said that deafness is not life threating. I understand the point she was making, but I still paused for a moment to reflect on those words, considering the mental health statistics for deaf people (because mental health conditions can be life threatening). As deaf people are twice as likely to experience mental health problems compared to their hearing peers, I can’t help but connect this statistic to our common experience of being isolated, overlooked and left out. During the House of Commons debate, MP Liz Twist criticised the government for not taking seriously the importance of BSL. When described as simply a “useful tool,” she responded: “It is not just a useful tool; it is an essential part of communicating with the outside world and other people. It is an essential tool for many of our young people, and we should respect that.” Whenever access to everyday, taken-for-granted areas of life are denied to us, I and many other deaf and disabled people feel disrespected, over-looked and undervalued. We are not given the opportunity to achieve our full potential simply because of lack of language and lack of access provisions. I wrote about The Milan Conference in a blog for The History of Place here. I am shocked how little has changed since then. Hearing people are still making life-changing decisions for deaf people with little regard for their emotional, intellectual, or mental well-being, also without respecting their knowledge and experience; it seems that they feel they know what is best for others. Furthermore, not enough thought is given to the benefits to wider society when everyone is able to communicate and reach their potential. 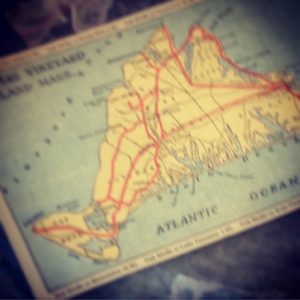 I intend to develop my own research into Martha’s Vineyard further, creating more artworks that explore the fascinating social history of the island and its relevance today. I am also excited to read that a sequel to The Silent Child is planned, which will continue the work they have started. I believe we must keep going, keep raising awareness and most importantly keep pushing for change. History teaches us that mistakes made can have devastating consequences. We must learn from our mistakes. History can also teach us what is possible when we come together and exercise the power we have to change the world we live in – so that we all may flourish.